Have you ever gone dancing with shoes that were too small? Did you have an enjoyable time? Have you ever gone swimming in a suit that was too big? How much enjoyment did you have when you kept thinking it was going to slip off? It’s the same thing with condoms. If it is too tight or too loose you cannot concentrate on your partner or your own needs. This is why All Condom is the exclusive seller of My Size Condoms. My Size 57mm condoms work brilliantly for the man who finds ‘standard’ condoms constricting and uncomfortable and find large size loose and insecure. 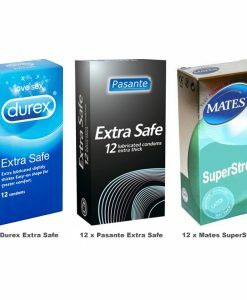 This is the first time this size has been carried and as you’d expect, it is exclusive to All Condom. 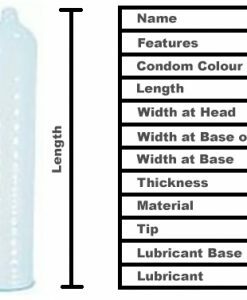 My Size offer seven different condom sizes with widths varying from 47mm to 69mm so you can easily find the right fit. You’ll find that a properly-fitting condom will increase the pleasure for you and your partner.